The story behind my obsession with smoked trout dip is here, where I first tried to recreate a Sun Valley grocery store specialty after falling in love with it a few years ago. The main difference is that my first attempt was made with smoked salmon, an alternative I resorted to as I couldn’t find the key ingredient at home. The results were good but smoked salmon didn’t quite capture the taste and texture that only the smoked trout could deliver, at least in my mind. It turned out that my local market regularly carries smoked trout–I had just never noticed before. 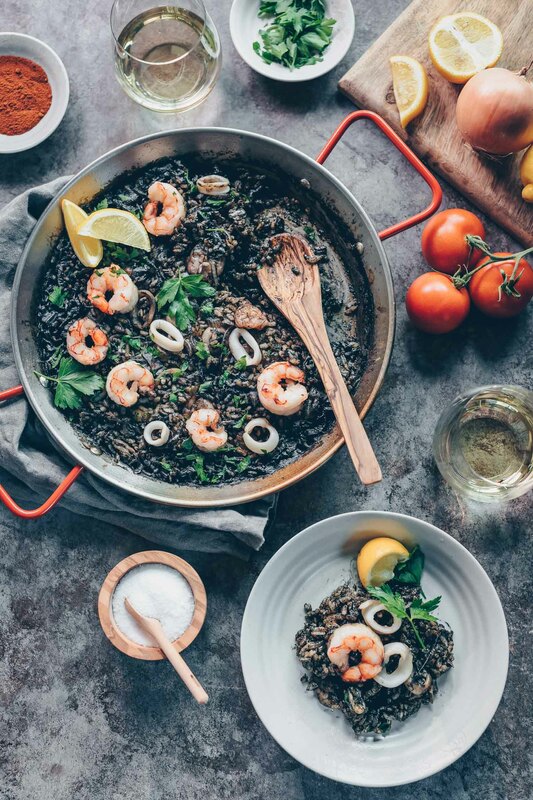 One day as I waited for my fresh fish to be weighed and wrapped up I happened to glance down at the shelf below the counter and lo and behold, sitting next to the marinated white anchovies and a host of other specialty items were packages of smoked trout. They were literally sitting right under my nose all along. But I would venture a guess that smoked trout dip is not exactly a northern California specialty to begin with (correct me if I’m wrong. I have seen smoked trout served simply with cream cheese many times, however.). I’ve lived here almost all my life and the dips I grew up eating were more of the artichoke, spinach, crab or bean variety. But wild trout are part of the landscape in the Sun Valley area so it’s only natural that this dip I’ve grown to like so much is always available there. Here is my version based on the ingredient list provided on the dip’s label at Atkinson’s Market in Ketchum, Idaho. I guessed on proportions and used two kinds of garlic. In the end, I was quite happy with how this turned out and there’s lots of room to play around with other ingredients. Cream cheese might be a decent alternative and dill might also be a good addition. 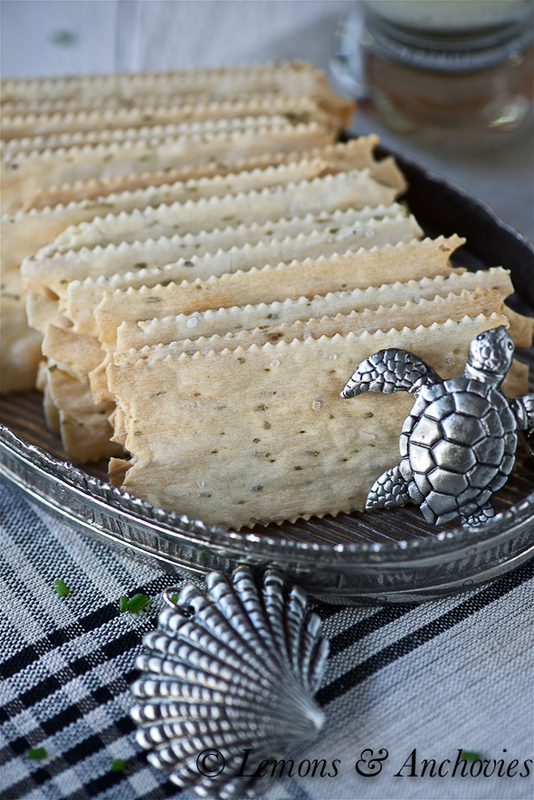 Crackers studded with black pepper are wonderful with this dip but choose your favorite. This may not ever become a popular game day favorite but it certainly has become one of mine…and the best part is, I don’t have to wait for my next trip to Sun Valley to enjoy it. 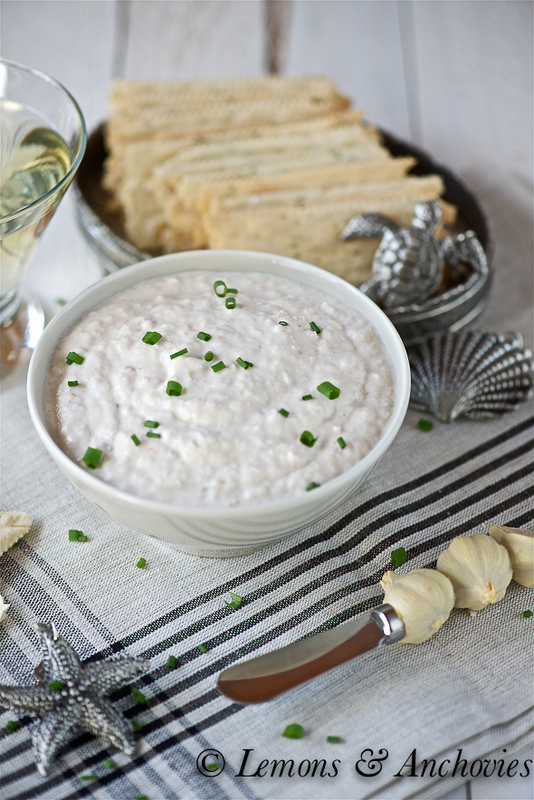 Try something new for your next party and serve this easy smoked trout dip. 8 ounces smoked trout, skin removed and meat flaked. Process all the ingredients except for the lemon juice until mostly smooth. Add the lemon juice one tablespoon at a time until you are happy with the balance of flavors. Pulse to incorporate the lemon juice once or twice between additions. Transfer to a bowl and chill for at least 1 hour before serving. 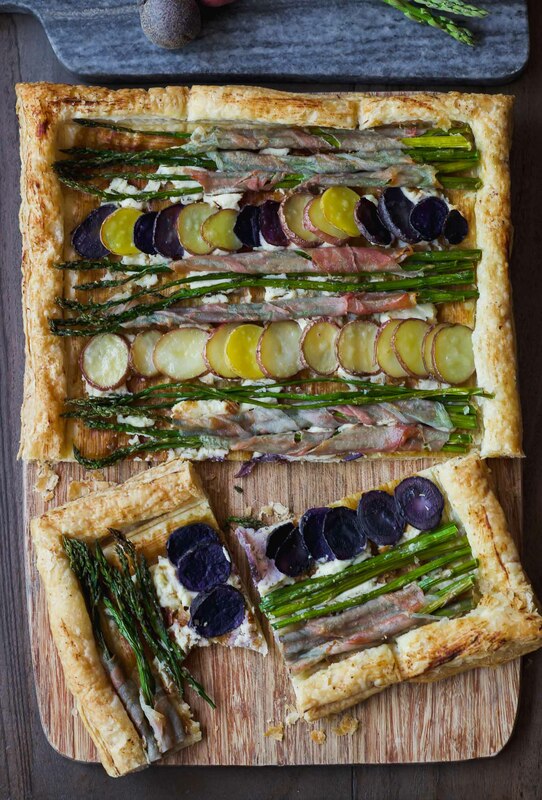 Serve with veggies or your favorite crackers. HI Jean! 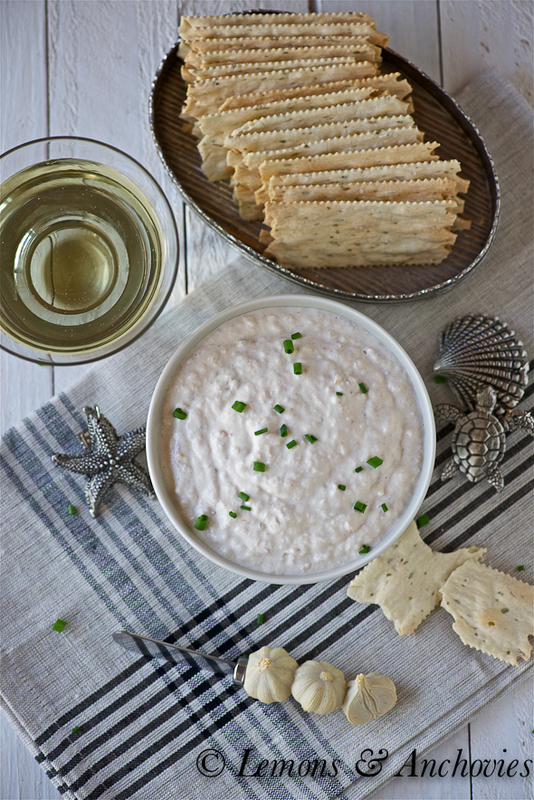 I love smoked trout dip and like to serve it for a party appetizer- your recipe sounds so good, I’ll bet everyone loved it! 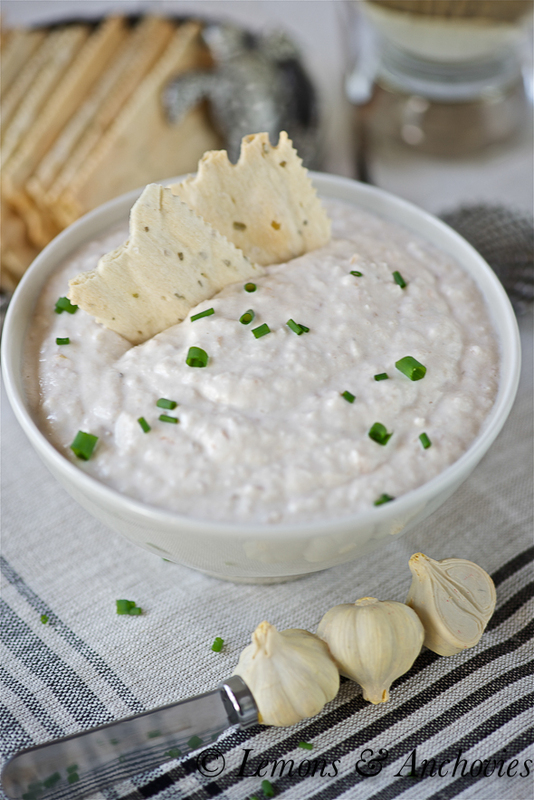 Jean, how fun that you re-created this yummy sounding dip, bravo to you! Jean – this sounds like a perfect appetizer! I have grown to really love a smoked fish dish – the flavors are amazing. I bet this was a perfect combo with a dry white wine. Love your photos and props! Darling!!! I love your props too! 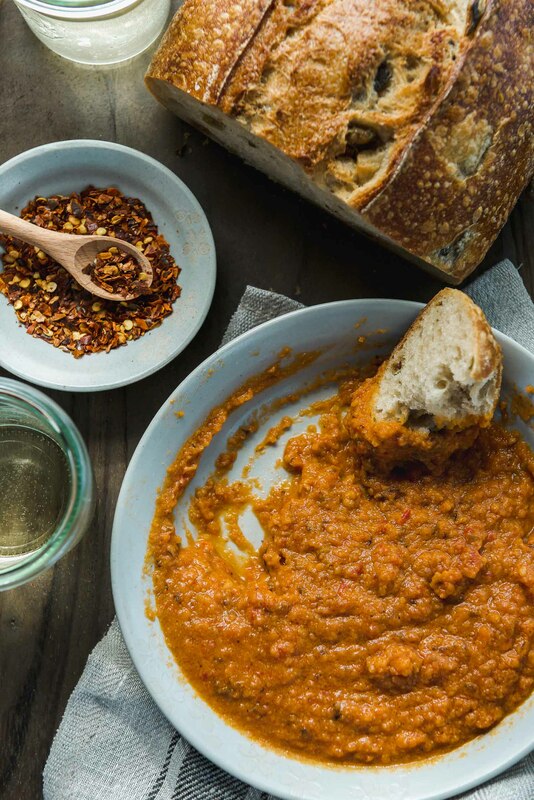 Your dip sounds great, I love the lemon and garlic additions! I have only recently tasted and come to love smoked fish, this sounds amazing Jean! Must look out for vegenaise for the egg allergic tot- had no idea there was such a thing! Oooohhh…I can almost taste this…! Love that it has a good dose of garlic 🙂 Probably not the ideal thing to eat before a first date, but who cares?! LOL! Smoked some brown trout last night, going to try this dip with a bit of wasabi. 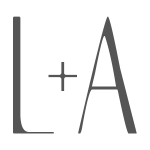 Love your site and all recipes too ! The crackers in your picture , you made It ? Look fabulous with th extasy dip….